Restaurants Banning Plastic Drinking Straws are on the Rise: Will Yours Be Next? Home/Restaurant Industry/Trends/Restaurants Banning Plastic Drinking Straws are on the Rise: Will Yours Be Next? As the trend away from disposable plastic, particularly plastic drinking straws, builds momentum, the restaurant industry is taking notice and adopting alternatives. Compostable straws, utensils, and packaging are now requirements in some markets. Many businesses, from large franchises to individual establishments, are jumping out in front of the legislative wave and replacing their own offerings proactively. What else can we expect as plastics are slowly phased out? On July 1, 2018, Seattle became the first major city to ban the distribution of plastic drinking straws and utensils. The move was virtually concurrent with the Seattle-based Starbucks franchise switching to straw-less lids in its shops throughout the country. And while Starbucks has no trouble making news headlines, there is an ever-growing number of businesses following suit. Foodservice distributors, hotel chains, ballparks, airlines, and of course cocktail bars have all joined the ranks of the eco-friendly. McDonald’s has set a target timeline of 2025 to phase out its own non-compostable utensils. Miami Beach and Fort Meyers, Florida, as well as Malibu, Davis, and San Luis Obispo, California, have similar prohibitions on single-use plastics. New York is expected to eventually enact its own similar ban in due time. Elsewhere in the world, Canada, the United Kingdom, and the European Union as a whole are weighing proposals banning plastic straws. From there, it’s easy to foresee the domino effect continuing. Environmental consciousness lies at the root of the movement away from plastics. Marine wildlife has been hit hard by the effects of pollution. Even responsible sanitation practices will inevitably yield some spill-off into rivers, lakes, and oceans. Since it can take hundreds of years for a typical straw to decompose, birds and sea creatures of all sizes are left vulnerable to this floating junk. Garbage patches (or trash vortexes) are collections of marine debris that have formed in the world’s oceans. The debris consists of various plastics, chemical sludge, and other garbage, clumped together as a result of the cyclical currents. 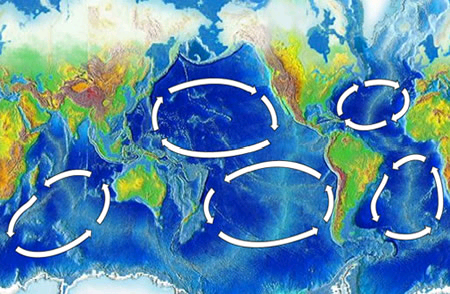 Garbage patches float near the top of the water. As well as a tremendous eyesore, they can be toxic and ultimately lethal to the nearby marine wildlife. In the social media era, it’s easier than ever to make a cause célèbre out of unfortunate wildlife hurt by pollution. But it’s just as prudent to consider the limited space for the waste products of expanding human populations. Plastic is a natural target for replacement with biodegradable alternatives. There is a human health risk in play as well. Bisphenol A (BPA), a chemical used to harden plastics, has been flagged as a concern by the Food and Drug Administration. Infants are considered especially vulnerable to the effects of ingesting BPA, with possible brain development and behavioral issues cited as potential symptoms. The effects of BPA on adults is still an ongoing study. The FDA recommends reasonable precautions, such as avoiding heating foods and drinks stored in plastic. While plastic drinking straws account for only a very small fraction of total plastic pollution, environmentalists believe that this small step can raise overall awareness and inspire the public toward more significant change. Individuals who wouldn’t otherwise consider the environment in their daily choices will be more conscientious when the issue is presented in their daily routines. The hope is that this modest measure will inspire people to further their recycling efforts on an even greater scale. How Will This Affect the Restaurant Industry? Even if plastics have not been outright banned in your area, expect the phasing out process to proceed slowly but surely. If you own a business that uses disposable utensils, there are some considerations to keep in mind in the coming months and years. The cost of compostable utensils currently sits higher than the plastic status quo. The precise cost of upgrading might be hard to calculate. Vendors have cited anything from 10% to 200% above, depending on the size of the order and the quality of the biodegradable supplies. If you replace a plastic drinking straw that costs $.02 with a compostable drinking straw that costs $.04, that microtransaction looks rather insignificant. 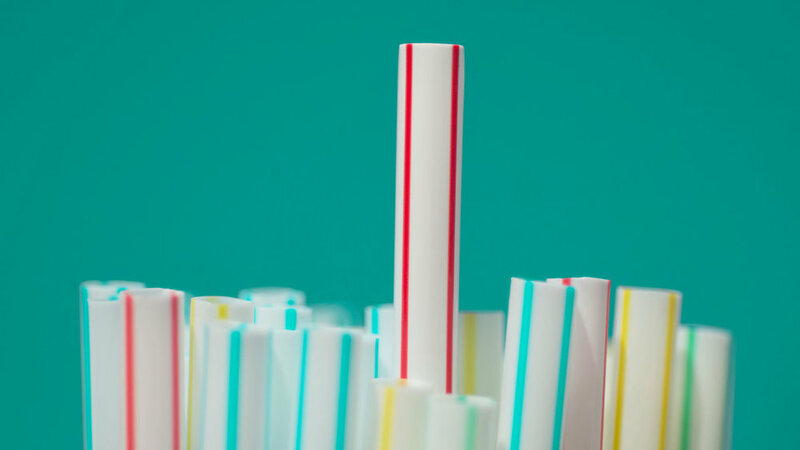 But if you serve thousands of straws every month, that small uptick can account for hundreds of dollars against your bottom line. Look to buy in bulk. An easy way to offset the increasing cost of supplies is to simply acquire them in larger quantities. Businesses considering this change should think about how much space they can spare in their physical inventory. Keep tabs on price points. Like any emerging market, increased demand for compostable utensils will drive a larger supply. This, in turn, will eventually lower prices. If your business isn’t ready to make the switch away from plastics just yet, remember to check back every so often to see if the market has moved. Can you do without? Some cocktail bars are replacing their plastic drinking straws with no straws at all. If you typically serve, for example, soft drinks for the table with straws inserted, can you simply eliminate them? One immediate way to reduce your plastics usage is by keeping those products complimentary, but making them available only upon request. Flaunt it if you’ve got it. While the cause is noble, there is no shame in advertising that your business has taken an environmentally-responsible initiative. This is absolutely an opportunity to do a bit of status-signaling. Adding a line at the bottom of your menu or posting a small notice about the change in policy in your storefront will let your customers know you’re mindful (without being overbearing). The recent trend of restaurants phasing out plastic drinking straws is arguably just the beginning of a bigger movement to save the environment. Keep tabs on any updates, including that of the law, to stay informed of the latest advancements. And in the meantime, consider how your restaurant will adopt.